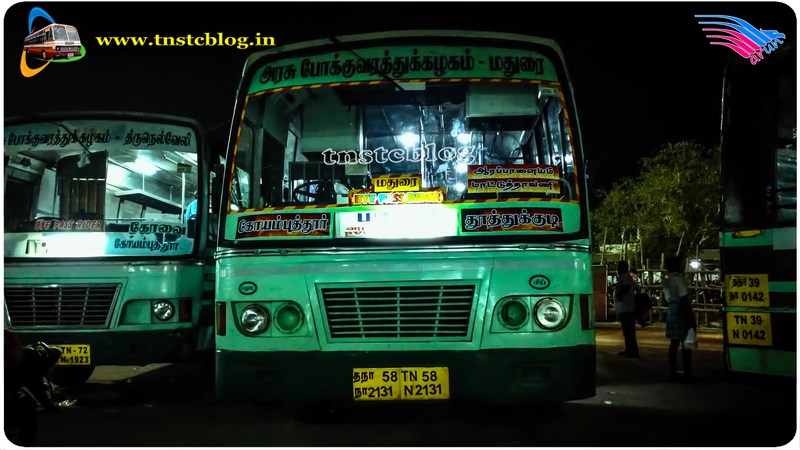 TNSTC Madurai well known for its extension on both side of Madurai. Being center and important transit point in south. 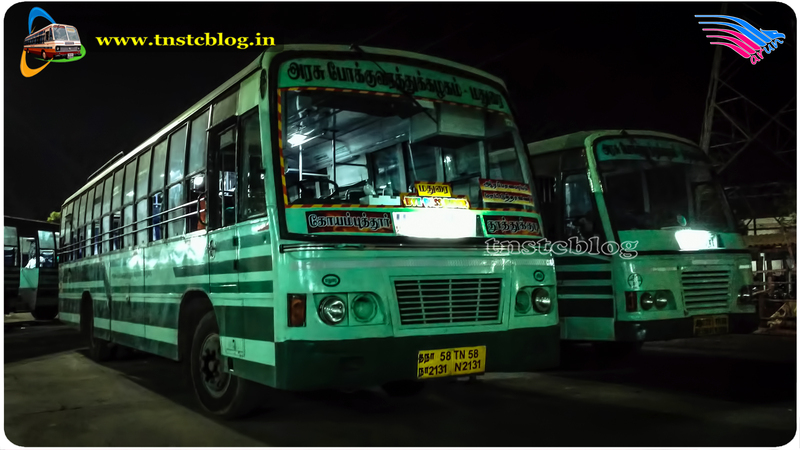 TNSTC Madurai clubbed many of its south, west, east, north separate services into one. Tiruppur Nagercoil was the highlight route and many services of Madurai Nagercoil and Madurai Tiruppur clubbed to a single Tiruppur Nagercoil. An unimaginary route was Aranthangi Nagercoil and succesfully now new buses replaced those. In this sequence Thoothukudi – Tiruppur, Nagercoil – Trichy and recent addition was Aruppukottai Coimbatore and Coimbatore Thoothukudi added very recently. TN58 N 2131 of Sipcot Depot is now running on the Extended route Coimbatore Thoothukudi it running pattern is Madurai – Coimbatore – Thoothukudi – Madurai (Halt). Timings Coimbatore Thoothukudi 01:45 P.M.
TN58 N 2131 of Sipcot Depot Route Coimbatore Thoothukudi Bypass Rider via Palladam, Dharapuram, Ottanchatiram, Madurai.